XlegoX Interview | Roblox Direct!! What inspired you to play roblox? XlegoX: I like building with Lego, so I just tried it out. I wouldn’t have stayed if I didn’t discover scripting though. What helped you learn to build? 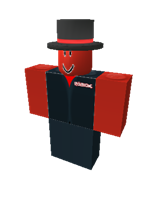 Did you ever think of becoming one of Roblox’s Best builders? Do you have any favorite people, hats, or places on roblox? If so what? XlegoX: I don’t support materialism, thus hats are irrelevant. Places, not really. I pretty much just play because I like being able to test my programming abilities in a competitive environment. Do you ever get paranoid at your fans? XlegoX: No, I’m not one to get agrivated easily. If you were Roblox’s Ceo, How would you help the community? XlegoX: Resign, I’m a programmer, not a businessman. The CEO’s job is to make the company financially successful, not manage the community. As you can see, He doesn’t like to gloat about his fame! What a guy. Anyways more interviews comming up!